As the year ends today, I would like to wrap up the beauty posts with a catalog of my favorite beauty products. some of them I have reviewed on this bog already, others, I haven’t. We’ll begin from the basics; my favorite face wash, which has so replaced Neutrogena Acne wash in my beauty routine is: RnR Luxury Liquid black soap. Read it’s full review here. And my favorite toner, which I should do a full review for is Jules Therapy Witch hazel toner. This product is purely amazing. I will be sure to do a full review on it in the near future. You all know the primer that’s the love of my life; Mary Kay Foundation Primer. This primer goes with any and I mean any foundation I pair it with, it sets a perfect base. It contains spf 15 which is an added advantage for me. For foundations, I experimented this year; stepped away from Mary Kay Timewise Matte foundation and discovered some surprisingly good foundations. First was Black opal True Color Liquid Foundation, which I reviewed here and Hegai and Esther Duo Cover Photo Perfect Foundation; my newest love! I will do a full review of it soon, till then take my word for it and try out this foundation. And yes, its a Nigerian product, so #buynaijatogrowthenaira. 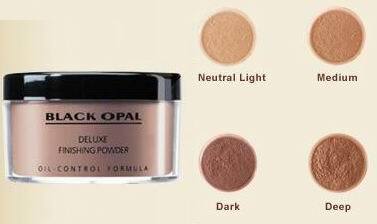 To crown it all; the queen of all my beauty products, the one I’ve been with for years is Black Opal Deluxe Finishing powder in Neutral Light. This powder is what I will call a workaholic powder, it’s been with me through many foundations and it’s always held its own. So, share with us, what are your fave beauty products and what products did you discover in 2016 or would love to try in 2017? Hello Lovelies, it’s been a minute hasn’t it? I’ve missed you all. Hope you’ve been good? Today on #beautyfriday I’m going to be reviewing Black Opal True Color Pore Perfecting Liquid Foundation. I got this foundation as part of my beauty haul from Kuddy Cosmetics at the just concluded 2016 Lagos Trade fair. I had seen so many positive reviews about this product I decided to give it a trial. I paired it with my trusted Mary Kay foundation primer and finished off my beloved with Black Opal deluxe finishing powder in Neutral light (6). My thought around the foundation was? A bottle? How will I get every drop of my foundation out in this hard times? Lol! I gave in sha, the sales rep advised I get the foundation in Nutmeg (that was my thought as well). I applied with my foundation brush blending in as advised on the bottle. The product glided on smoothly and only needed extra coverage on areas darkened by acne scars. My first thought was….. reddish? But I said to myself not to despair yet. I finished off with my deluxe finishing powder in neutral light and then I looked like myself again! Lol! I love this powder and someday will dedicate an entire post to it. I finished off my makeup as usual and was off for the day. I really put my makeup to test that day. The day was sunny; I had a seminar to be at and Lagos Island market runs interspersed with other errands and I only dabbed once. This is what my face looked like at the end of the day. My verdict: I liked it, it held up really well, felt weightless and transfer resistant. I will purchase again. My rating: 3.7. I can still see the reddish tint. So, there it is dearies; have you tried the Black Opal Liquid foundation, what was your experience with it?